On Friday, we attended the opening of the Saint Louis Art Museum’s big winter show. Anne taught a half-day in the morning, but her afternoon was free. The show is Graphic Revolution: American Prints 1960 to Now. It features lots and lots of Lichtenstein. Who knew that the museum’s collection included so many of his works and this show is primarily drawn from the museum’s collection. I suspect that the largess of last summer’s big Egyptian show ordained this more modest exhibit. I hope the curators didn’t run their budgets underwater with that one. I noted that our mummies are all safely ensconced in their resting places. Graphic Revolution opens to the general public on Sunday, but is open now to members, which we currently are. Anne was gifted with this membership last year, at the end of one of her long term substitute gigs. So, this is the first time that we have been able to partake of this privilege. Normally, we sneak in on free Fridays (Dedicated to Art and Free to All), the first one is next week. Graphic Revolution explores the explosive mix of art and printmaking that began in the US in the 1960s. The experimentation embodied in this revolution transformed contemporary art. Shown are examples of how printmaking was used to push the boundaries of modern imagery by engaging with current issues and new technologies. In addition to Lichtenstein, many other iconic artists are featured in this exhibit. Warhol’s Campbell soup cans made the show. Due to the fragility of many of the works here, most have not been regularly displayed. The show also gives one an insight as to the depth of the museum’s collection. Echoing Andy Warhol’s style, the above Rosa Lee Lovell work is set on Delmar Boulevard in Saint Louis. 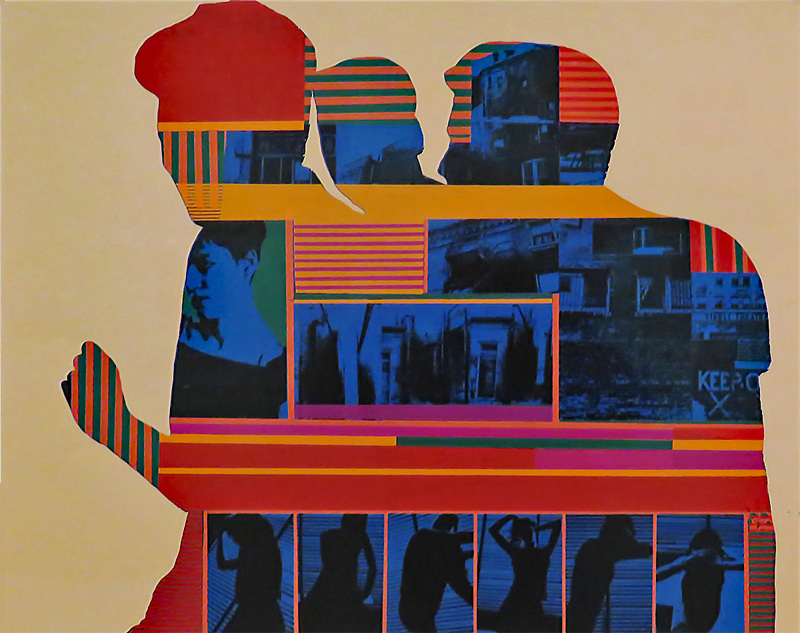 The bright colors and crisp outlines of its screen print are collaged with photographic imagery of the Loop. The Tivoli Theater is seen in the upper right. Lovell soon died after making this print. This entry was posted in Art, Photography, Saint Louis by RegenAxe. Bookmark the permalink. Good article and I really like, thanks for sharing!